Another year, another snow storm. Across New Hampshire, voters trekked to their town halls, fire stations, or school gymnasiums to debate various articles that involved saving special historic places. In Rye, the town hall (Seven to Save 2015) was spared from demolition. A petitioned article asked for $3 million to raze the 1873 structure and build a three-story replacement. The Heritage Commission instead supported an option for the town to purchase a former bank building and repurpose it for town offices, thus alleviating crowding at the historic town hall. That article, too, failed. The town hall will see its exterior painted this year, as well as the completion of a conditions assessment, which will provide rehabilitation options for the embattled building. In Belmont, the Shaker Regional School District voters once again refused to demolish the distinctive 1894 Gale School (Seven to Save 2017). Instead, voters directed the school board to sell the vacant building to the nonprofit group, Save Our Gale School (SOGS). 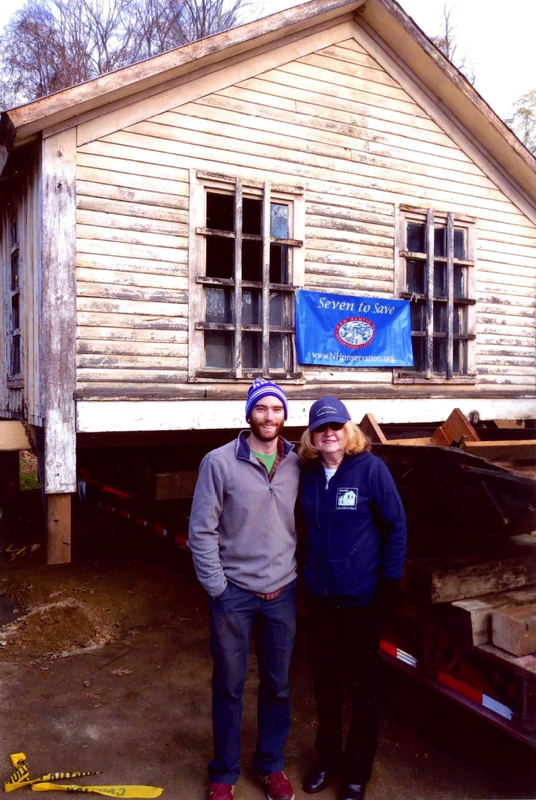 SOGS has just over one year to move the structure to a new location, where it will be rehabilitated by nonprofit developer, Lakes Region Community Developers. Belmont voters also approved $5,000 for their Heritage Fund and a $65,000 space needs study (which will include several underused town-owned historic buildings). Orford voters approved the lease of the Orford Academy building to Littleton-based developer, AHEAD. The decision marked the end of a long debate over the building’s future and concern about its appropriate reuse. AHEAD (which has won preservation achievement awards for adaptive reuse at Berlin’s Notre Dame School and Littleton Hospital) will spend $3.5 million converting the brick institution into twelve senior housing units. Stratham voters overwhelmingly approved a $150,000 article to place a preservation easement on the former town hall. The Second Empire building was sold into private hands in 1997, but a recent demolition permit alerted the Heritage Commission to its endangered status. The new owner is willing to work with the Commission to find a suitable solution that will permit a reuse, but also preserve the exterior’s features. Speaking of Heritage Commissions, there will be two new ones in New Hampshire after approval in Sandown and Mont Vernon. Both towns also approved the creation of Heritage Funds. In the case of Sandown, two times was the charm – an attempt last year failed. Kingston voters also approved $10,000 for their Heritage Fund. Unfortunately in Kensington, a valiant effort to establish a Commission and Heritage Fund failed, 211-167. Supporters there will return next year. Chesterfield rejected the demolition of their former town office building – a wonderful example of carpenter gothic architecture. Instead, voters approved a plan to sell the house for one dollar to a local couple who wish to rehabilitate it. Two studies were approved: in Ashland and Mason. Ashland’s second attempt for a study at their historic 1871 town hall succeeded. The LCHIP project can now move forward. An amendment from the floor expanded the roof replacement at the Mason Town Hall to also include a conditions assessment, for a total of $18,500. A committee is now charged with listing the Greek Revival structure to the State Register of Historic Places. New Durham voters okayed the Boodey House Committee’s proposal to move a barn in danger of demolition in nearby Alton to town land. After the barn’s assembly at the new location, the committee hopes to move forward with the reconstruction of the Zechariah Boodey house. 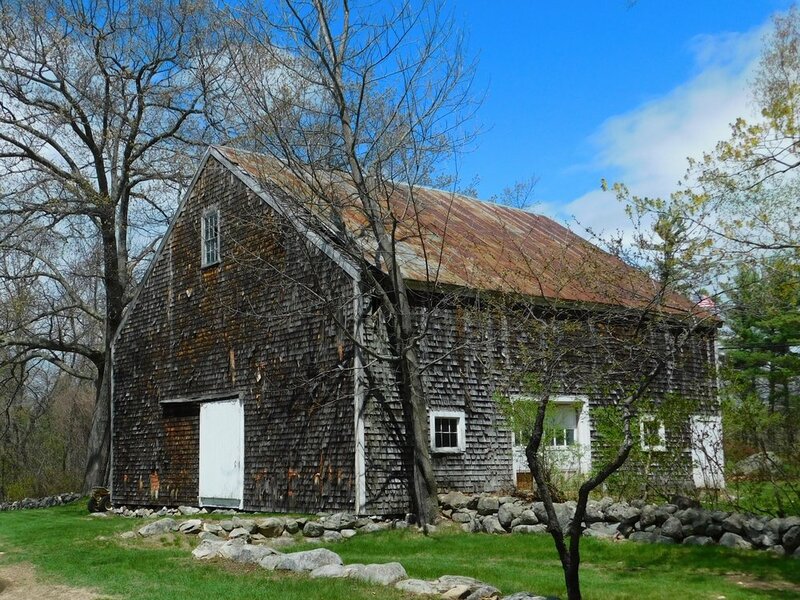 Voters also approved $5,000 for the 1772 Meetinghouse (Seven to Save 2012). 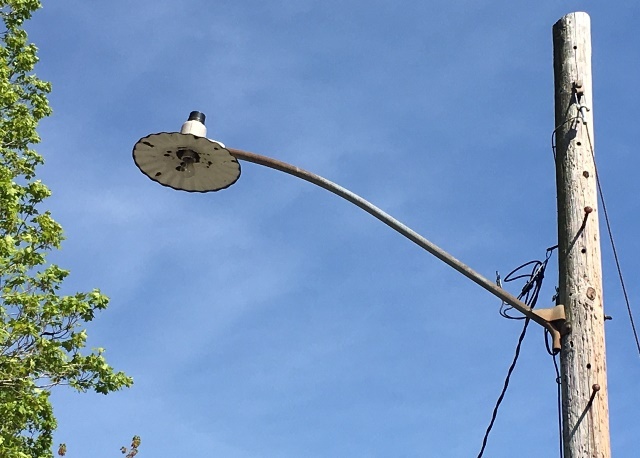 Harrisville’s historic street lights will remain after a year of study. The decision reverses last year’s vote to replace the porcelain fixtures with more efficient lights in the National Historic Landmark village. The Weeks Public Library in Greenland will get a sizable addition after voters approved a $3.5 million bond to expand the 1897 building. A smaller request ($25,000) in Grafton failed. There, supporters hope to move and expand the building in an effort to keep the 1921 library usable for more people. More library news came from Groton, where voters directed the selectmen to demolish the former library and town office building. The small building – originally a chapel for the Forest Hills camp – sustained damage from flooding and according to many, is not repairable. The library itself disbanded, with services now provided by neighboring Hebron. Bradford Town Hall (Seven to Save 2014) will not be rehabilitated as quickly as taxpayers thought. Despite last year’s passage of a $650,000 bond, $1.3 million more was requested to complete the first floor’s work. Instead, voters opted to spend $170,000 to mothball the building. 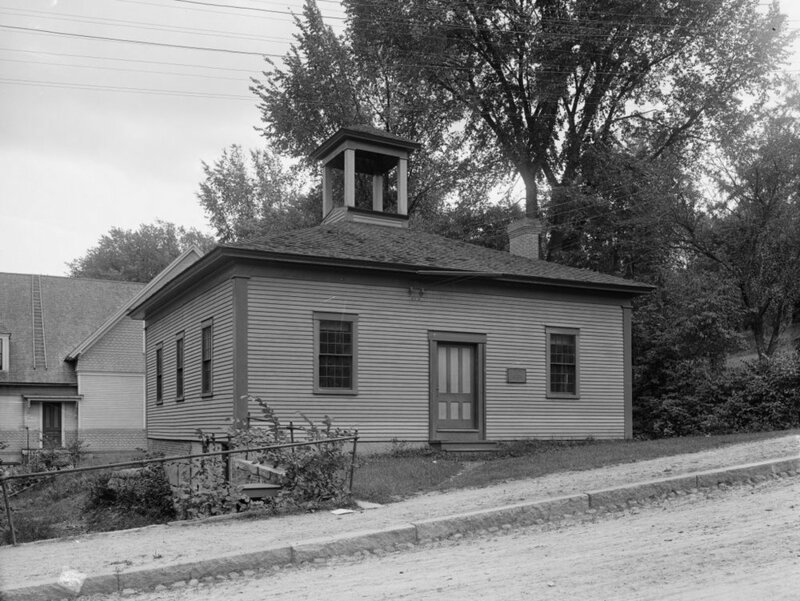 In Chatham, voters approved a measure, 46-7, to transfer ownership of one of the town's last one room schoolhouse to the Historical Society. After the school closed in 1968, it became a library. 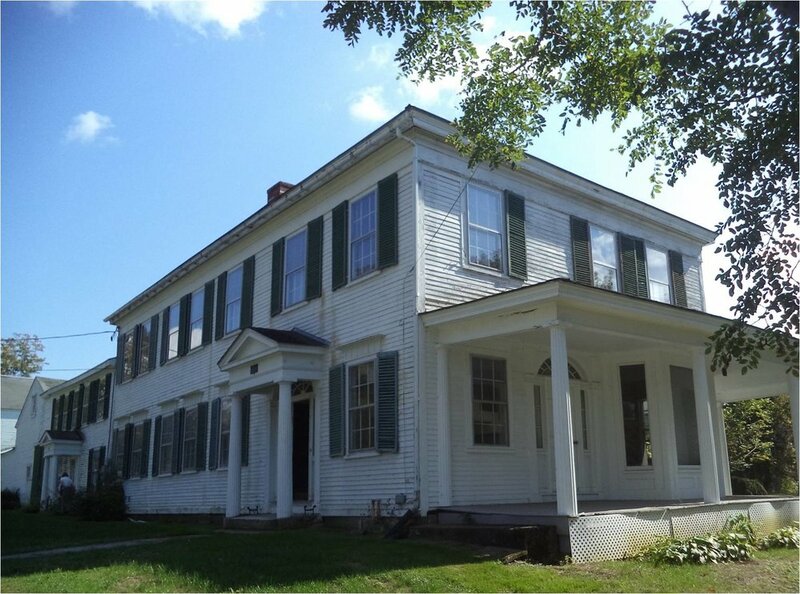 Now the building will become headquarters of the Chatham Historical Society. To share news from your community, email Andrew Cushing at ac@nhpreservation.org.